What to expect when visiting the Diabetes Education Department at Windham Hospital. The Diabetes Education Program at Windham Hospital has held a “Certificate of Recognition” from the American Diabetes Association since 1991. Windham Hospital was the first community hospital in the United States to meet the National Standards for Diabetes Self-Management Education to be awarded this Recognition status by the American Diabetes Association. 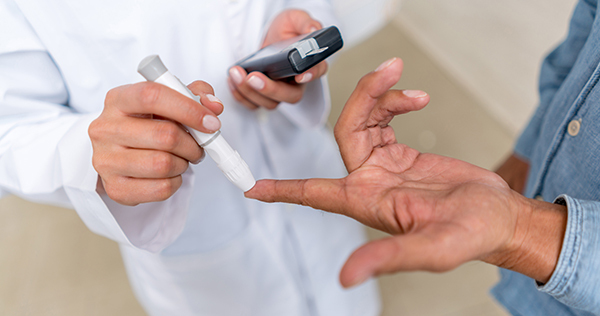 The individuals who provide you with education through this program have special training in diabetes and are Certified Diabetes Educators (CDE). Once your physician sends us a written referral, we will schedule you for an initial visit. We will send you a letter and some forms to fill out. The Adult Diabetes History Form is long but includes mostly check-off boxes to make it easy for you to complete. This initial visit will be 1 ½ to 2 hours long. You will meet with the diabetes nurse and the diabetes dietitian to review paperwork, blood glucose testing and your lab work. The dietitian will also set up a meal plan with you. We will discuss your education plan and your goals. Your plan may include a group class series or individual education sessions. The group series may include Conversation Mapsas part of your education. Our monthly support group meets on the first Wednesday of each month at 1:00 PM and 7:00 PM. Topics vary from month to month. There is no fee for meetings, registration is required. Hours may vary depending upon the diabetes class schedules.